"Know what I'm afraid of? Nothing." Vin Diesel probably could have delivered that line in any movie he's ever made. (Well, maybe not The Pacifier -- but almost every movie he's ever made.) Yet he has waited until The Last Witch Hunter to utter this particular announcement of his badassery. As you can see in the trailer, Diesel's character matches words with deeds while fearlessly demolishing all manner of supernatural foes. (Gee, I wonder if the movie is intended as the kickoff for a new franchise?) But I must admit: Since I'm kinda-sorta a Michael Caine completist, the primary appeal this movie has for me is the opportunity to see Sir Michael playing a priest. I could be mistaken -- and I'm sure I'll be corrected if I am -- but I think this may be the very first time in his 50-plus-year career that Caine has played a man of the cloth. 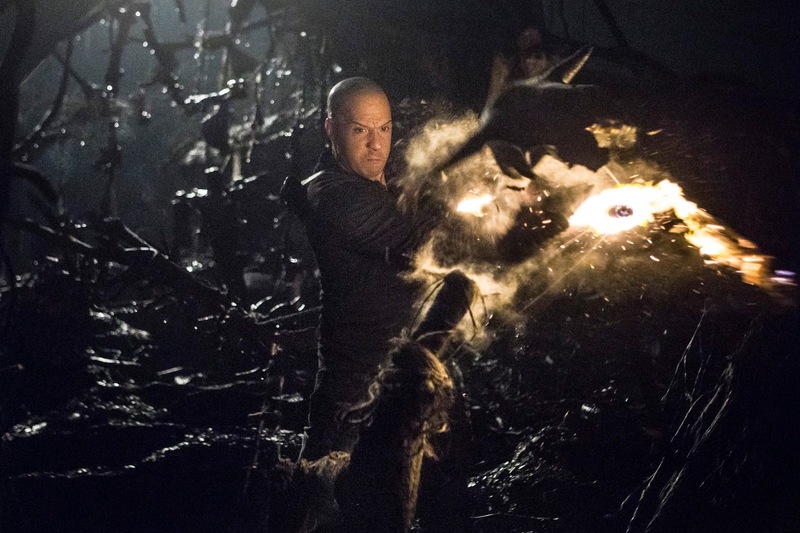 The Last Witch Hunter opens Oct. 23 at theaters and drive-ins everywhere.